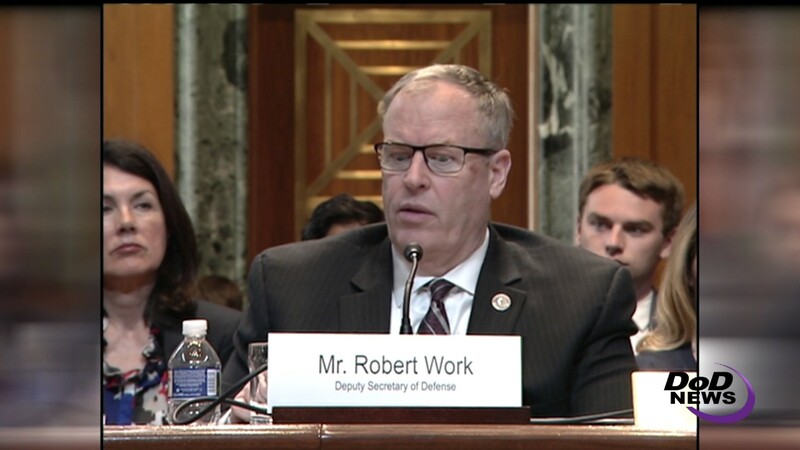 Defense Department innovation leaders this morning described some of the most advanced capabilities fueling U.S. military technical dominance today and for the future during testimony before the Senate Appropriations Defense Subcommittee. 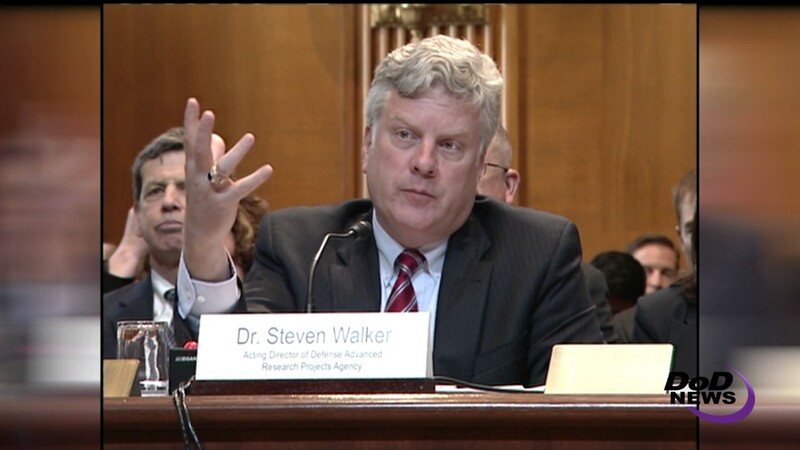 Deputy Defense Secretary Bob Work was joined by Strategic Capabilities Office Director Dr. William Roper and Defense Advanced Research Projects Agency Acting Director Dr. Steven Walker to testify before the Senate panel during a review of defense innovation and research funding. In his remarks, Work said that for the past 25 years the department’s technical dominance has gone unchallenged in every operating domain -- space, air, ground, sea and undersea -- while the United States built capabilities in stealth, precision strike, network sensors and network command and control. The department is embracing advanced artificial intelligence, autonomy, big data analytics, he said, and “all those things will allow the force to operate much more powerful joint multidomain battle networks of even greater power than we've seen in the past” and across all operating domains and in cyberspace, electronic warfare and the electromagnetic spectrum. Work said this is a time when the department must be innovative and agile, and identify impediments standing in the way of testing new advances. In his remarks to the panel, the director of the Strategic Capabilities Office said national security challenges are global and increasingly interconnected at the same time many U.S. military technologies are being challenged by advanced threats. Satellites can be shot down, navigation can be jammed, platforms can be targeted and bases can be saturated by missile raids, Roper said. “Though these counter moves are concerning to us, buried in them is an assumption we strive to make fatal in SCO, and that is that tomorrow's military will be as predictable as today's,” he added. If the military were a football team, analysts would say that it has run its current playbook for too long, Roper said, adding that when this happens in football, winning teams create trick plays -- they run in their pass formations and pass in their run formations. “Creating the analog of trick plays for our military is the primary mission of SCO by re-imagining its strengths -- ships and submarines, aircraft, armored vehicles -- and using them in unforeseen and therefore ... uncontested ways,” he said. SCO engineers take systems already in use and make them do something different, Roper said. “Regaining the element of surprise with systems we have today is our counter-counter move to defeat the advanced threats we face, and I'm pleased to say that many systems have been up to this task,” he said. SCO uses three mechanisms to evolve the department’s playbook. One is enabling systems to cross or blur domains. An example is upgrading the Army's tactical missile system to enable it to sink enemy ships in addition to its land-strike duties, Roper explained. Another is teaming systems, which he says enables completely new warfighting concepts that keep warfighters safer. An example is converting existing naval vessels into semi-autonomous fleets that can perform dangerous missions without putting sailors at risk, he said. The third mechanism is leveraging commercial designs and technologies, which positions the department to adopt external developments and adapt at their pace. 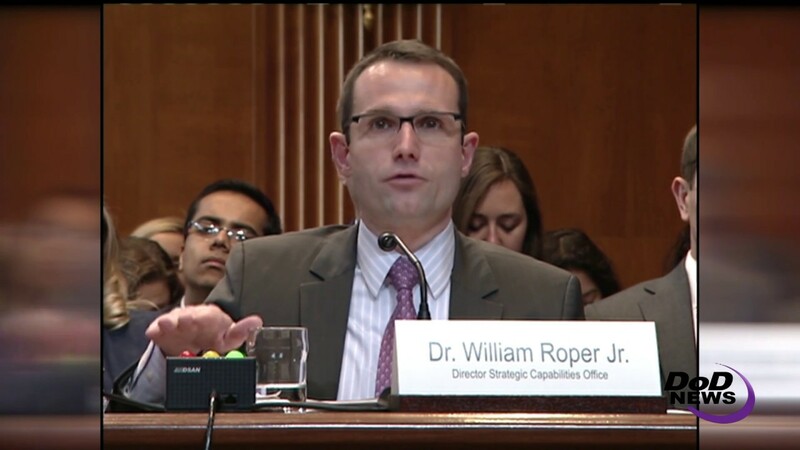 Roper said this requires treating data as a strategic resource, an example of which is using big data analytics and machine learning to create an information picture so commanders can see complex information in the world around them that is increasingly important to national security. “Our challenges and opportunities are great,” he added. “Our challenges [are great] because they require a new playbook, but our opportunities [are also great] because creating is leveraging some of our nation's greatest strengths -- ingenuity, technology and ... our unparalleled operators. I like our chances,” Roper said. In his remarks, Walker said that through DARPA’s work at the extreme frontiers of physics, chemistry, biology, mathematics, material science, electronics and engineering, the agency helps ensure that United States will be the source and not the target of strategic surprise. DARPA's job is to do the fundamental research, the proof of principle, the early stages of advanced technology development, he said. DARPA also takes impossible ideas to the point of implausible and then surprisingly possible,” Walker added. The acting director said his written testimony includes more than a dozen examples of DARPA-developed technologies that are transitioning to the services. These include radio-frequency arrays that are making radar see farther than adversary radars, and “radiation detectors small enough and cheap enough to put on your belt and network thousands together to prevent terrorists from developing that dirty bomb that can threaten our cities,” he said. DARPA also has created electronics that allow ships to know where they are without GPS, radically different new vaccines that along with diagnostic kits will stop the next epidemic, a 132-foot ocean-going vessel that's completely autonomous, and a space surveillance telescope that lets the Air Force to see tiny objects 22,000 miles above the Earth, where most of the valuable satellites reside, Walker added. DARPA is also working on future technologies, he said. One is in the area of biology and technologies that allow scientists to rewrite the genetic codes of plants and animals, offering great potential in health, medicine, biodefense and agriculture. But such technology, he added, also carries risks if used carelessly or for nefarious purposes. “DARPA recently launched a program called Safe Genes that is developing ways to build-in molecular safeguards so potentially harmful genetic changes can be prevented or if necessary, reversed,” he explained. Another area of future development is artificial intelligence, which appears in self-driving cars, increasingly autonomous military systems and others, he said. AI computer systems are sophisticated and increasingly competent, but they make mistakes that no human would ever make, Walker said. “It’s important for us to understand why we can't predict when [and how] these machines will make mistakes,” he added. “It's a hugely complicated problem, but if we're ever going to trust machines to help us in the future in warfighting, we'll need to understand that, and DARPA has started programs in this area. Explainable AI is one, along with a number of other related programs to answer these questions,” the acting director said.